Maj. Gen. William T. Cooley, commander of the Air Force Research Laboratory, addresses a crowd of more than 600 at the Wright Dialogue with Industry event July 17, 2018 at the Dayton Convention Center. The two-and-a-half-day event was sponsored by Dayton Defense, and included comprehensive presentations, panel discussions, and one-on-one sessions with senior Air Force and AFRL officials related to the Air Force, technology focus areas and aerospace research and development. 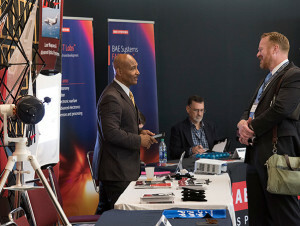 More than 600 people registered to attend the 13th annual Dayton Defense Wright Dialogue with Industry at the Dayton Convention Center in Ohio July 17-19, making this year’s event between the Air Force Research Laboratory and defense contractors the largest to date. The two-and-a-half-day event, titled “AFRL Science and Technology Supporting the National Defense Strategy,” included comprehensive presentations, panel discussions, and one-on-one sessions with senior Air Force officials. Participants were invited to ask questions pertaining to technology focus areas and aerospace research and development. Maj. Gen. William T. Cooley, commander of the Air Force Research Laboratory gave event opening remarks. 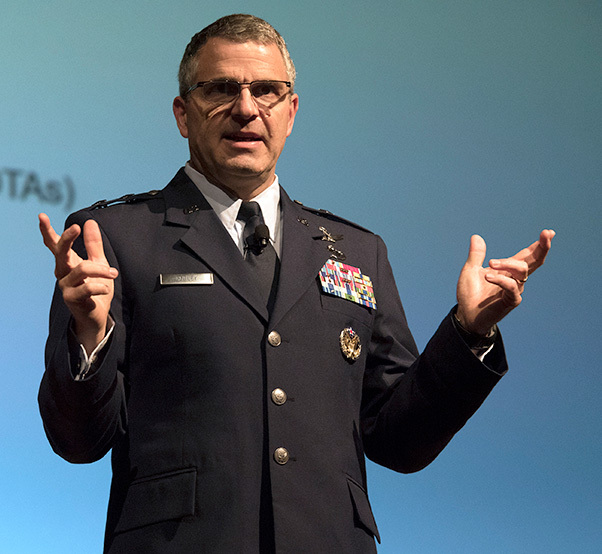 Cooley discussed several key technologies that AFRL is focusing on that support the 2018 National Defense Strategy, including hypersonics, directed energy, autonomy, biotechnology, robotics, artificial intelligence, big data analytics and quantum computing. Cooley emphasized that the list does not end there. 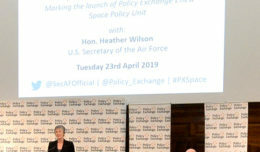 AFRL is leading the strategy development for the Air Force Science and Technology 2030 enterprise, at the direction of Secretary of the Air Force Heather Wilson. As part of this effort, the lab is listening to ideas from higher education, entrepreneurs and industry across the country to discover innovative technologies for future AFRL investments. “There are a variety of activities that we’re using to develop the strategy,” Cooley said. He highlighted six major listening sessions hosted earlier this year at universities across the nation, with the last one at the University of Utah. Dr. Phil Macklin, director of MZA Associates Corporation, Albuquerque, N.M., speaks to a client at the Wright Dialogue with Industry event July 17, 2018 at the Dayton Convention Center. “These have been very useful events with a lot of good ideas being offered and relationship building,” Cooley said. 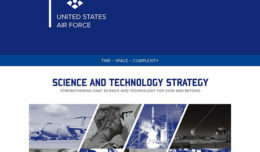 During his remarks, the AFRL commander highlighted the Air Force Science and Technology 2030 website (www.afresearchlab.com/2030) which allows visitors to submit ideas that will be evaluated by a panel of national experts including AFRL researchers. The most promising ideas will be presented to the Secretary in a report due in September. “Importantly, there are two aspects to this,” Cooley said of the study. “There’s the “what,” and the “how.” The “what” refers to the specific technologies we should be investing in as part of the 2030 strategy. The “how” refers to the processes by which we stay engaged with industry, academics and others to ensure that we’re staying on the leading edge of technology and finding innovative ways to apply technologies,” said Cooley. “In a sense, one of the “how’s” is this Wright Dialogue with Industry event where we’re having open dialogue with industry,” he said. The first day of the WDI featured a keynote address by Valerie Muck, a member of the senior executive service, and director of Air Force Small Business Programs at the Pentagon. She related that the vision of her office is to create a culture that looks to small businesses first for innovative, agile, and affordable solutions to meet warfighter needs. 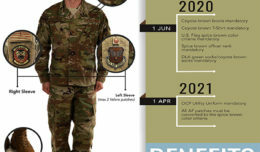 Tom Lockhart, also a member of the senior executive service, and director of the AFRL Plans and Programs and Strategic Development Planning and Experimentation directorates, provided a Fiscal Year 2019 AFRL budget overview. Dr. Steven ‘Cap” Rogers, AFRL’s senior scientist for Autonomy, provided the lunchtime keynote address and spoke about artificial intelligence in autonomy. The WDI agenda also included session tracks where AFRL Directors discussed the work being performed within the various technology directorates. A keynote address given by Air Force Vice Chief of Staff Gen. Stephen W. Wilson served as the highlight for day two of the event.